C# is actually called as C sharp. 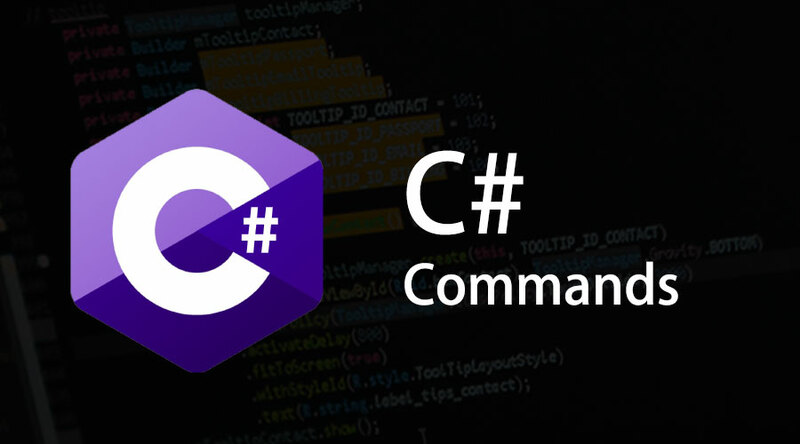 C sharp is a very much popular programming language which is strongly followed object-oriented programming concept with proper typing, functional, declarative, imperative, and generic and following the proper discipline of normal component-oriented programming concept. This keyword has been used as the first statement for any C# programming. It is basically indicating one of the basic keywords for mentioning namespace in any C sharp programming. There has a big possibility of having multiple using the keyword in one C sharp big programming code. This is one of the big keywords has been using for declaring one specific class in case of C sharp programming. Using ‘/*…. */’ keyword for avoiding multiple lines of code from compiling. Using ‘/’ for avoiding a single line of code from compiling. Member or class variable can be considered as an Instance variable. This kind of variable is normally defined in the class definition. Those variables are available everywhere in the class, every individual method can easily access those variables as per their requirement. And any value changes on that variable will be affected for all the methods at a time. Instantiation of a class is always be required in case of object-oriented programming concept for using that class method or variables. Class instantiation can be done for those classes which actually holding the main method. Normally after the instantiation of each class, the main method will call directly. A name should need to start with a letter or sequence of the letter. It can hold digits like 0-9 or underscore (_). But starting of the identifier name should be a letter, digit will not accept in case of C# programming. It should not ever contain any kind of symbolic language available in the keyboard like +, -, !, @, #, $, %, ^, &, *, (, ), / etc. Only underscore (_) is one of the accepted identifiers for mention name in C# programming. Identifier never is a common keyword of C#. C# programming has varieties of special keywords which can be used by the developer very frequently. Those keywords are actually some of the reserved words which are known to the C# compiler. Some of the very much popular keywords of C# programming are abstract, as, break, byte, case, char, decimal, default, else, event, finally, float, for each, goto, if, int, lock, long, new, null, object, out, private, public, read-only, return, short, sizeOf, String, switch, this, try, unchecked, using, virtual, void, while, volatile etc. And some of the contextual keywords are ascending, descending, from, global, get, into, join, remove, select etc. This type of variable is mainly used for assigning some value directly. This is derived from one the common package of C# programming name is System. value Type. This kind of variables is bool, byte, char, double, decimal, int, float, long, short etc. This kind of reference type variable never contains its actual data at the time of using in programming by the developer. It just holds the specific reference of that variable or proper word we can say it hold the memory location of that specific variable. If somehow memory location got changed of that specific variable it will impact the entire programming. A pointer type variable is mainly helping for storing proper memory address of another type. It is basically working like same as C or C++ programming language has been used the pointer in their case. Two kinds of type of conversation can happen in the case of C# programming. Implicit Type conversion, which ensures the type-safe utility of C#, means converting some object class to its base class. Another type of conversion is explicit conversion, in that case, typecasting require, developer have to mention converted object type properly. This is one of the key utility of C# for mentioning one variable as constant. In that case, any logic inside the programming will not able to modify the same variable values. When we are using string normalization, we have to be ensured of using to UpperInVariant rather than to LowerIntVariant, as Microsoft can able to optimize the code only in case of uppercase variables. Better to practice of using the null coalescing operator for avoiding any kind of null related issue, In case of C#, the operator is asking the question (?). C# programming is mainly designed by Microsoft for given proper object-oriented concept in the .NET framework. This is one of the key programming languages currently in the market for delivering varieties projects which are specifically running on .NET framework.